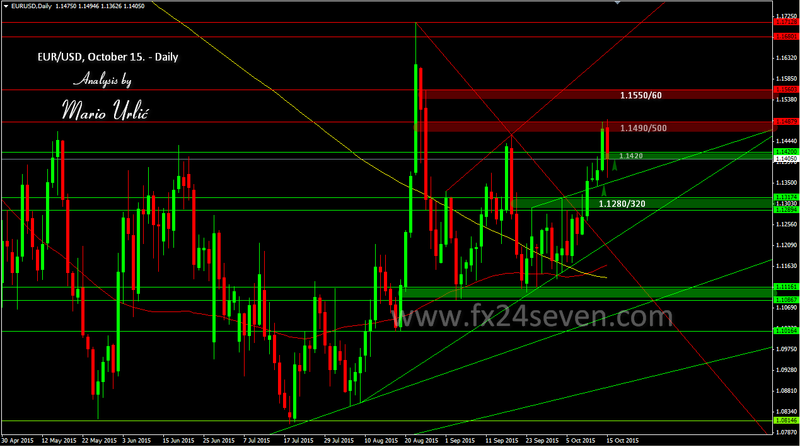 EUR/USD, what a day and it's not over! After the pair broke 1.1420/50 yesterday and rached 1.1488 high, it looks like that the pair was set up for the new high levels today, but… That level was intraday resistance it the begining if the day and after the European market was open, the pair slide back to the first support at 1.1420/50. Nowotny efect? It was hold there by the buyers until the US sesion was open, but after the CPI data, which was slightly better then expectations, the pair was pushed strongly down true the support all the way to 1.1362, where the euro has find a new buyers. The bulls are trying to recover the pair after that and they would like to close the day above 1.1420. Will they manage to do that today?